AAAAA PPPPP: Guest Writer Claudio Cravero: "Art and Politics in Venice? So Far So Close"
Guest Writer Claudio Cravero: "Art and Politics in Venice? So Far So Close"
I'm very excited to feature Claudio Cravero, curator at the King Abdulaziz Center for World Culture in Saudi Arabia, as a first guest writer on this blog! Claudio and I met for real last week at the Venice Biennial and Claudio agreed to write a few pieces on what strikes him as interesting at the Biennial, especially issues concerning the East. Today, however, we start with the North: the Icelandic Pavilion! If you want to start with the visuals, here is a video of Claudio's visit. A deconsecrated church opens its doors to a new community. 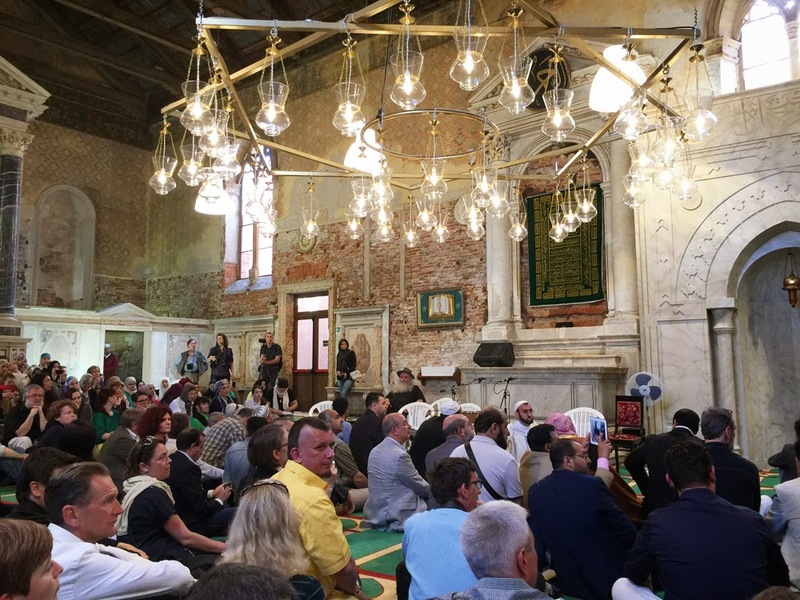 It is not a form of syncretism between Catholics and Muslims, but simply The Mosque, the provocative Icelandic Pavilion at the 56th Biennale di Venezia by Swiss artist Christoph Büchel. Through a disorienting trip across Switzerland, Iceland and Italy, Venice claims again the right to be the gate to the East. After years of repetitive editions, the ongoing Okwui Enwezor’s Biennial has been already deemed as a politically engaging Biennial. Curatorial resolutions aside, Enwezor’s All the World’s Futures seems to be a credible camouflage of something that is not political at all. His main exhibition is no other than a representation of something that is (or was) political elsewhere. In fact, artworks on display document what happened in another space and in another time. Let’s say that a political artistic act would occur when the artwork comes silently into view in a real context. That is to say not in a white cube or, even worse, in a radical-chic warehouse. Being realistic, how many works of art (participatory, relational and other possible labels) do we look at as political and in the end are mere window-dressing operations? In fact, we should get more and more skeptical about the artists’ intentions when they claim to deal with political issues. Quite often politics seems to be just an easy and cool topic for artists to be considered socially engaged, more appealing or gaining a more “noble” reputation. But may we still define when one begins and the other ends? 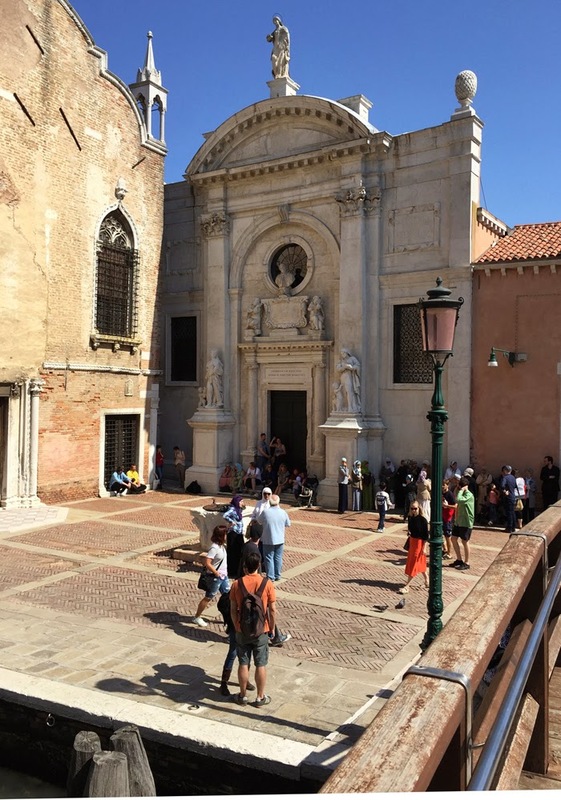 Among the art venues within the Biennial, like the looming mountains are topped by thick clouds, Swiss artist Christoph Büchel’s contribution to the Icelandic Pavilion tiptoes in one of the thousands Venice’s churches. In collaboration with the Muslim Communities of Venice and Reykjavik, the ex 2008 Hugo Boss Prize decided to convert a deconsecrated church (Santa Maria dell'Abbazia della Misericordia) into a mosque. More precisely into The Mosque. It is not an ordinary event for sure. Until the end of the Biennial (November 22nd), the local Muslim community will have a real functioning mosque to pray. 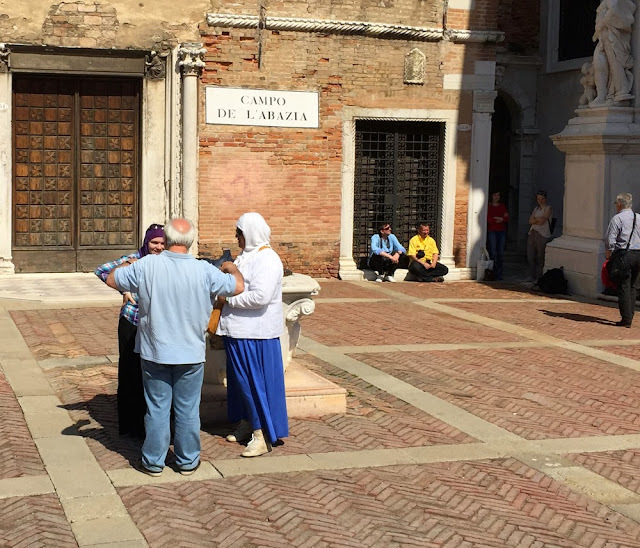 Despite the relationship between Venice and the Arab world has a longstanding tradition (e.g. Al Bonduqia is the Venice’s Arabic name stemming from bunduq, which means bullet with reference to the original weapons trade), the city has never allowed a real mosque to be built in the historic center. 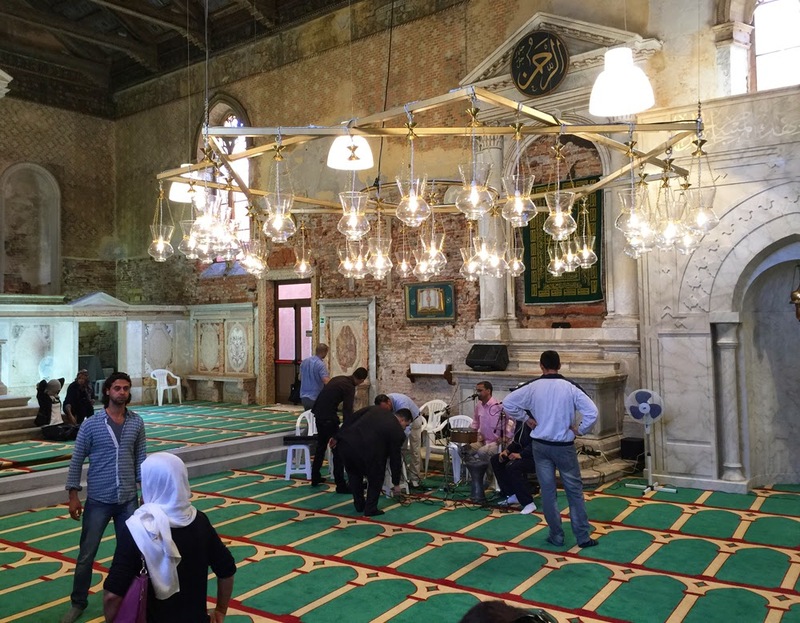 In the city there are only a couple of prayer rooms nearby the Fondaco de’ Turchi, but not an official mosque. On the occasion of the opening of the Icelandic Pavilion, the local Imam (the Muslim religious leader) blessed every attendee saying “As-salamu Alaykum” (typical Arabic greeting used to say “Good Morning” but that literally would mean “the peace be upon you”), emphasizing that “God is God regardless the faiths”. However, Büchel’s Pavilion clearly represents more than a work of art. It means a great deal to a great portion of the society in Northern Italy, which is considered intolerantly anchored to the local tradition. Eighty per cent of the budget has been allocated to the rent of the space. The money left has been used to adapt the pre-existing setting to its new function. Red bricks now cover the old tracks of frescos; the catholic altar has been decorated with an oval plaque depicting the name of Allah; and an Islamic chandelier is suspended from the ceiling. Needless to say that the location reminds of another similar visual experience we used to know. In fact, without any psychokinetic effect the visitor’s mind immediately thinks of Hagia Sophia in Istanbul. The building was originally a Christian church, then an Islamic mosque, nowadays a museum. For the seven-month run of the Biennial, Büchel’s pavilion will gather most of the 15,000 Muslims who live in the greater Venice area (mainland and the city), a religious community counting 29 different nationalities. Even though the title highlights a physical place, and not in an indeterminate way since The Mosque is The Mosque and not a place whatever, the Pavilion still is an artwork. But it has all that strength belonging to art to be provocatively always a step ahead, where neither politics nor politicians get. Beyond this temporary freedom in professing a faith (that is already a big gift to people), Büchel’s artwork raises a more serious question. The Mosque subtly claims the right to become a permanent space. And whether it will be or not, the Icelandic Pavilion sets a precedent for a potential negotiation among communities. Büchel has been able to see the problems and shedding light on current issues through his art. Though the artist doesn’t suggest solutions, he sparks people’s hope for a possible World’s future.